Managing and regenerating forests in an uneven-aged condition benefit from the removal of some trees of all sizes either by individual selection or in small batches or groups. These harvest schemes should be done with species of trees that are moderately tolerant of shade. There are two selection harvest systems called group tree selection and single tree selection used to remove merchantable mature trees to create openings for seed regeneration but also used to release smaller saplings and pole-sized trees of species that may be affected by stand stagnation. There is also a cutting system called coppice-forest that encourages stump and root sprouting for the next tree crop. All selection harvest methods pick and remove mature harvestable timber and other competing poor grade but salable trees. These "crop" trees are usually the oldest or largest trees and selected either as single scattered individuals or in small groups. Under the uneven-age concept, the removal of these trees should never allow a stand to revert back to an even-age. Theoretically, this style of cutting is sustainable and can be repeated indefinitely with adequate wood harvest volumes and yield. The tree selection method has a wide range in its interpretation, more than any other cutting method used by forest managers. 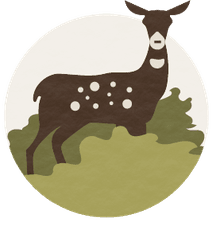 Many forest objectives including timber management, watershed and wildlife enhancement and other non-timber uses must be considered and managed differently under this scheme. Foresters know they are getting it right when at least three well-defined age classes are maintained. An age class defines groups of similar aged trees ranging from sapling-sized trees to intermediate sized trees to trees approaching harvest. Multiple age classes encourage biodiversity and sustainability. Group Selection: Trees that are removed in small group openings are considered a group selection scheme. The maximum width of a group opening should be limited to twice the height of the average mature tree. These small openings provide sites suitable for some species that can easily regenerate in partial shade. The best species for this are fir, spruce, maple, red cedar, and hemlock. Larger openings that allow more light to reach the forest floor are generally used to regenerate species requiring more light such as Douglas-fir, oaks, yellow birch, and loblolly pine. You need to remember that when using group selection, single groups should not be managed as separate stands. Regeneration, growth, and yield are managed over the entire forest tract. Single Tree Selection: Using this selection system method, individual trees of all size classes are chosen and removed using a system that ensures uniformity throughout the entire stand. Very small and new openings in the overstory allow a limited amount of sunlight to reach the forest floor and stimulates growth. This is not to be considered a harvest thinning but the management of canopy potential. This system allows for the regeneration of only the most shade tolerant species like hemlock, beech and sugar maple. This harvest method is often included as an uneven-aged scheme even though it encourages full sunlight. It is very rarely used in North American and was once used in early Europe for firewood and by native Americans for willow, hazelnut, and redbud (baskets and nuts). It is now being considered experimentally for biomass production. This "coppice" method produces tree stands that originate mostly from vegetative regeneration. It can also be described as low forest regeneration in the form of sprouts or layered branches as opposed to high forest seed regeneration. Many hardwood tree species and only a very few coniferous trees have the ability to sprout from roots and stumps. This method is limited to these woody plant types. Sprouting tree species respond immediately when cut and burst with exceptional vigor and growth. They outpace seedling growth by far, especially when cutting is made during the dormant period but may suffer from frost damage if cut during the late growing season. 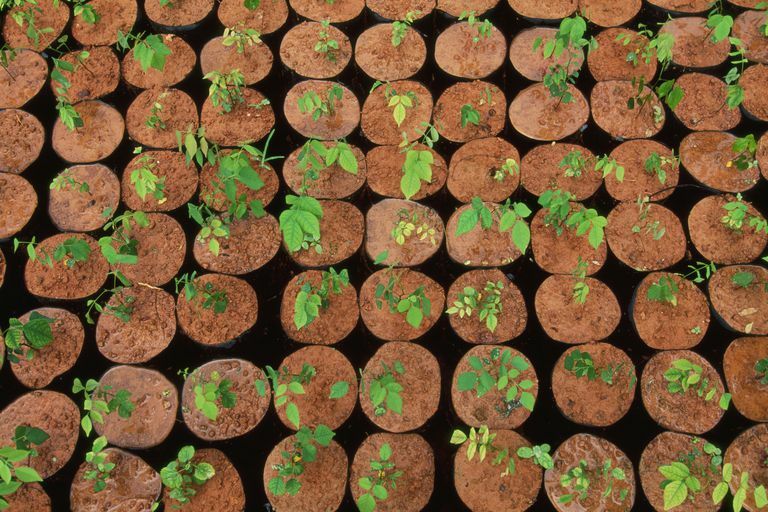 There are several downsides to this method including using clean cutting to encourage weak stump sprouts, vegetative growth that limits species genetic diversity and degrades ecosystem biodiversity.